I provide strategic design and production services to support all aspects of course and training development, including course design, video lecture production, recorded classroom discussions, Blackboard and Moodle configuration, and quiz and testing implementation. I have particular expertise and experience in translating workshop or classroom teaching to online training and resources. 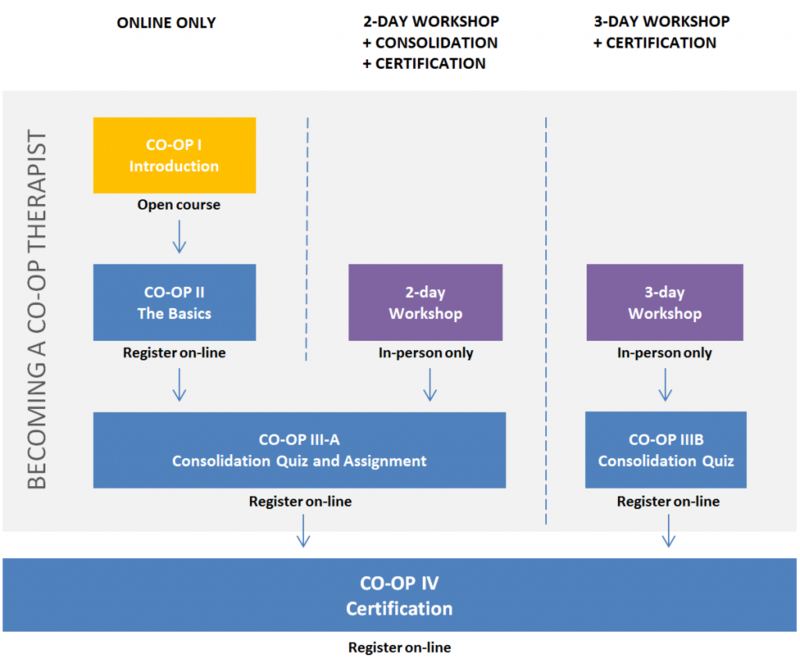 Create an online program to certify occupational therapists in the Cognitive Orientation to Daily Occupational Performance (CO-OP) approach, developed by Helene Polatajko and colleagues. I supported the academic team with conversion of an existing 3-day in-person training and certification workshop to an online course. The online course was developed in Blackboard, and is available to registered University of Toronto students. configuration of Blackboard environment, including lesson plans, required materials, quiz development and lesson module sequencing.